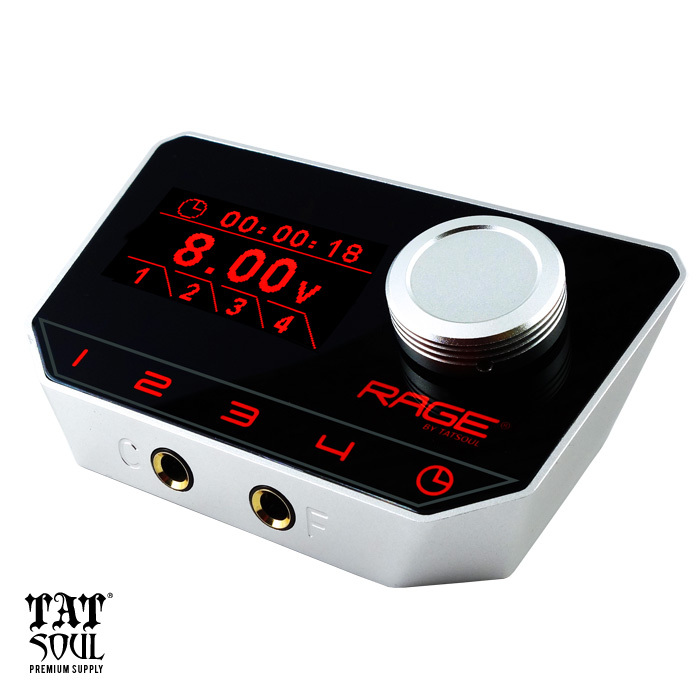 TATSoul Tattoo Supply has just released their highly-anticipate Rage Power Supply. This cutting edge tattoo power supply not only features top-of-the-line technology, but also includes a sleek, practical design. The Rage features a precision CNC machined and anodized aircraft aluminum silver frame and knob. The Rage Power Supply is the first OLED display power supply in the industry. The OLED display features an efficient, crisp, and bright display screen. The Rage features a flush display interface for easy application of barrier film. 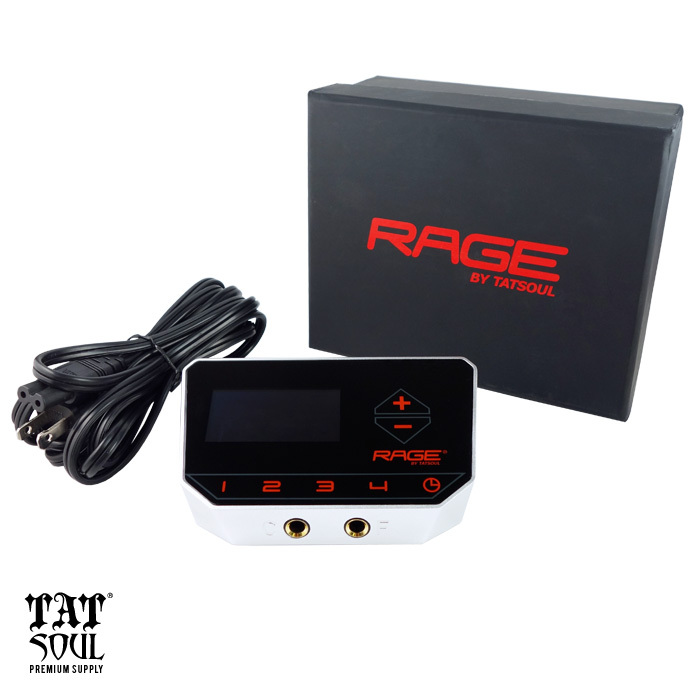 The Rage Power Supply gives you the option to program up to four voltage presets. The preset buttons allow you to recall the voltage values for any four of your favorite tattoo machines. In addition, a built-in timer is included to assist artists with tracking tattoo session time. The Rage Power Supply is specially designed and engineered to allow your tattoo machine to operate at their ultimate efficiency. The Rage provides consistent and smooth output power to your rotary or coil tattoo machines. You have the option of choosing a touch screen model or a dial model. TATSoul is known to stand by their product. The Rage comes complete with 2 year warranty, so rest assure, these are built to last.